St-Laurent, Quebec – Belanger-UPT, a subsidiary of the Keeney Manufacturing Company specializing in faucets and showerhead, will be previewing at KBIS a new innovative showerhead offering three styles of shower in one device. The Symphony 3-in-1 showerhead provides versatility by giving you the ability to switch between using a hand held shower and having a rainfall or waterfall showerhead. This innovative system works by diverting the flow of water from the hand shower into the showerhead by converting the unit into either a waterfall or rainfall shower. By simply inserting the hand shower into one of two spaces in the showerhead, homeowners can easily choose and change the style of shower they want without purchasing another device. The versatility of the Symphony 3-in-1 showerhead comes from it’s ability to make a 2 way valve function as a 4 way valve. 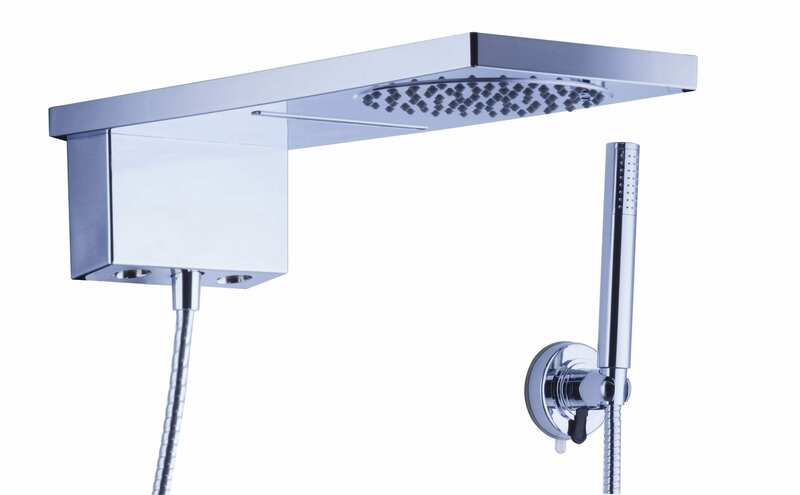 As a result, the Symphony 3-in-1 showerhead can be installed as part of new construction or retrofit to an existing shower arm, and still provide 4 functions – a hand shower, rain shower, waterfall shower, and spout – without needing to replace the valve making installation quick and simple. The Belanger Symphony 3-in-1 Shower System comes with a Limited Lifetime Warranty.